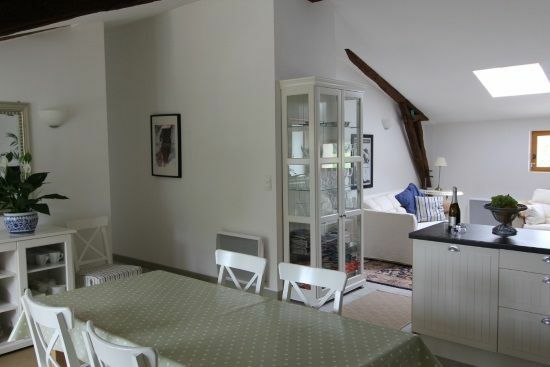 Serigny House is a smart family gite from which to discover all the highlights of France's scenic Loire Valley famous from it's fairytale castles and fine wines to it's stunning scenery and above average sunshine. A friendly welcome and warm hospitality is guaranteed by the English owners, Mike & Glynis, who live on site, and are always happy to offer help and advice, if required, including the best local restaurants and fun things to do. 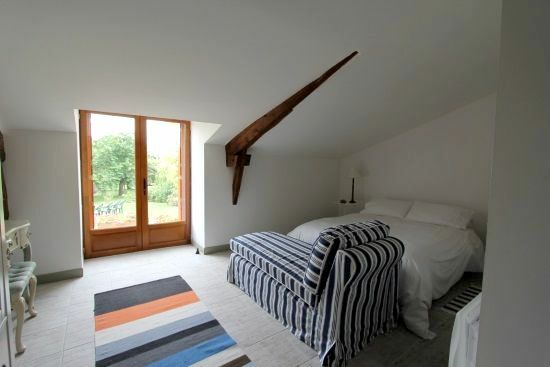 This single storey barn conversion was completed in 2009 in a fresh, modern style but retaining it's character through sloping ceilings and chunky exposed beams. The living area and fully fitted dining kitchen is spacious and open plan, so parents can keep an eye on little ones, whether they're delving into the box of toys provided or curled up on the comfy sofas to watch TV or one of the family's DVDs. White décor throughout makes the gite cool and airy through the summer months but Serigny House is nice and cosy for low season breaks as well, with central heating and a log burning stove. French doors open onto two gravelled terraces with a granite table and chairs and just a few steps lead down to a lower gravelled terrace adjacent to the lawned area. This has a table and six chairs and is covered by a canvas gazebo during the hot months. A barbecue is also provided. 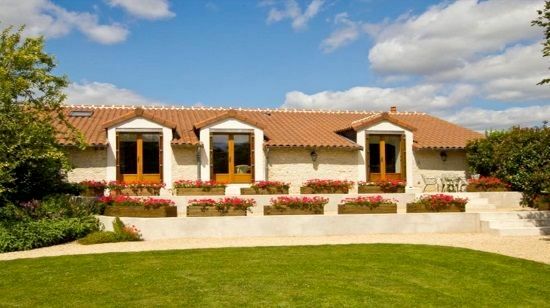 Beyond is a 2-acre garden and orchard where the children have space to run around and play. The owners have provided a swing and slide set plus sandpit, paddling pool, children's croquet set, outdoor picksticks, football post, boules, bats and balls which are all available for family fun and games. As well as the French doors from the living area two of the three bedrooms also open onto the outdoor terraces so parents can indulge in leisurely breakfasts in PJs and evenings gazing at the stars with babies tucked up close by. 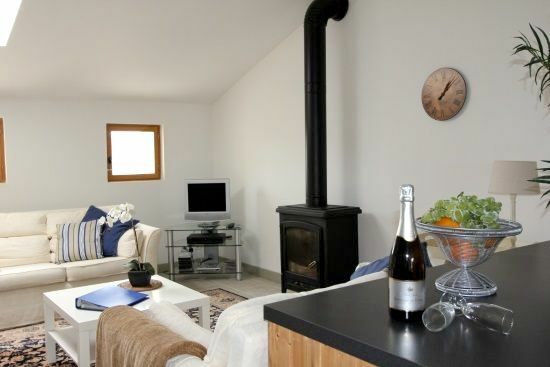 Serigny House is a 3-bedroom single storey barn conversion which sleeps up to 6 people plus a baby in a cot which is provided. 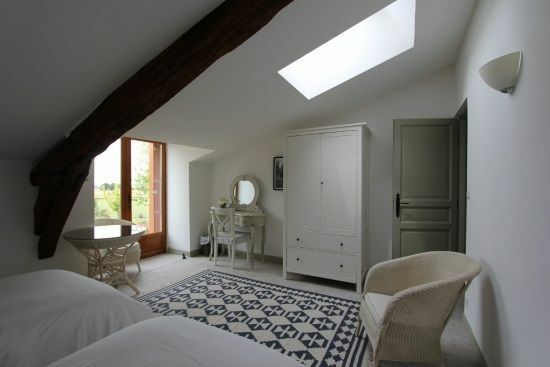 The master bedroom has a king size bed, chaise longue, French doors to the outdoor terrace and an ensuite with a vanity unit, WC, heated towel rail and a bath with shower. The two other bedrooms both have twin beds which can be made up as a 6ft super king size bed if preferred and these share a large family bathroom with a bath and mixer shower, separate walk-in shower, washbasin, WC and heated towel rail. All three bedrooms have space for the cot. The living area and large dining kitchen is open plan and has double French doors to the outside terraces and garden. The living area features comfy sofas. TV, DVD/CD player and a log burning stove. 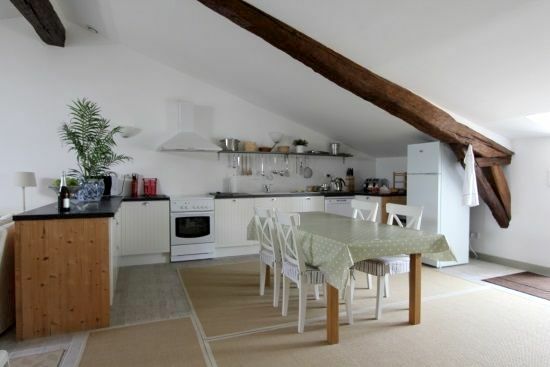 The kitchen/dining area has a table for 6 plus a high chair and essentials for family self-catering including oven and hob, toaster, microwave oven, kettle, fridge/freezer, dishwasher, bottle steriliser, sippy cups and plastic crockery. The gite has WiFi throughout. There is a small utility room which houses water tanks with ample hot water for a family group plus washing machine, airer and the usual cleaning equipment. There is also a small library of paperback books. Board games/playing cards are also provided. A small complimentary welcome pack of essentials is provided. 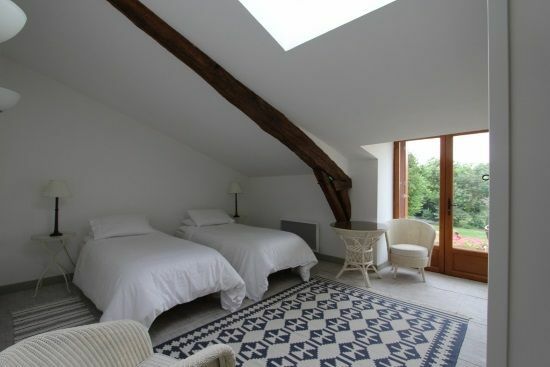 Serigny House is located in a sleepy rural hamlet just 10 mins (10 km) from the historic walled town of Richelieu in the western Loire Valley. Richelieu has shops, bars and restaurants as well as the 300-year old Les Halles where the weekly market has a wide range of produce and a good place for picking up goodies for a picnic in the town's 1000 acre park. Many of the Loire's most magnificent chateaux are within easy reach, including the Forteresse Royale de Chinon, Saumur, Montreuil-Bellay, Azay Le Rideau and the original Sleeping Beauty castle of Usse. Lots of other things to see and do are within an hour's drive from La Grange including paddling, lake swimming and pedaloes at the sandy beach St Cyr and watersports and beach at Moncontour (both 45 mins), having space age, interactive experiences at the Futuroscope theme park (45 mins) or seeing the animals and birds at the Doue-la-Fontaine Bioparc (1 hr) set amongst the troglodyte caves. As well as its chateaux, The Loire is renowned for its fine wines, especially light, fruity rosé and crisp sparkling wines that give any Prosecco a run for its money! Touraine, Chinon, Saumur and Bourgeuil are some of the finest and numerous vineyards offer tours and tastings. Nearest medical services: Medical centre in Richelieu 10 minutes; A. & E. Loudun 30 minutes away. Getting here: For self drive holidays, the nearest ferry ports are Caen and Le Havre, both with regular cross channel services from Portsmouth. Calais is 6 hours drive. The nearest airports are Poitiers (30 mins) and Tours (75 mins). La Rochelle airport is 2 hour's drive and Paris Charles de Gaulle is 3 hours. We are Glynis & Mike Demaine and over the years we took our three children on numerous holidays to France mainly in the Loire region. Taking early retirement we decided to move to France and did so in 2007. We converted an old dilapidated barn into a modern gite whilst still retaining some of the original features. 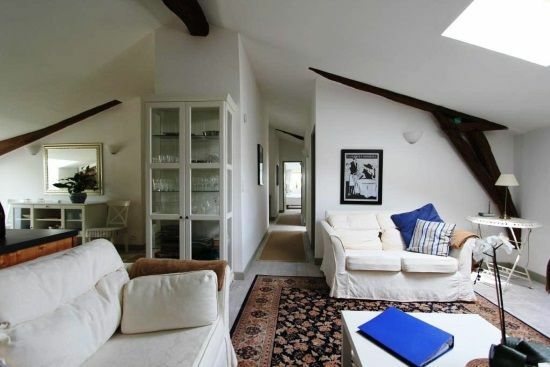 Whilst living in the gite we renovated the old farmhouse in which we now live. 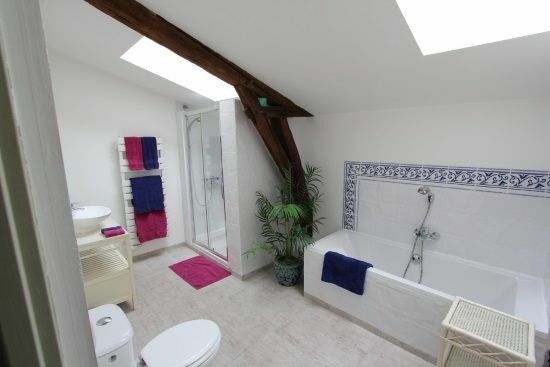 Having stayed in many gites over the years where the equipment and furnishings were inadequate we were determined to fully equip our gite and hope we have achieved that aim. After the hustle and bustle of our previous life we find living here extremely calm and tranquil. We are always happy and available to give help and advice if required but keep a low profile to ensure your privacy. What adults will love about the place; Tranquility after the hustle and bustle of modern living but with the bonus of free WiFi connection to their everyday world. Plenty of space to relax on our comfortable Lafuma 'up and down' chairs (as our grandchildren call them) with a book and drink or just to have the time to gaze at the surrounding countryside. Night skies are excellent for stargazing and looking for shooting stars as there is little or no light pollution. Glynis has various dishes available to 'Heat and Eat' to take the strain off catering and also supply that extra bottle of wine should you run out. There is a baby-listening monitor so parents can sit on the terrace or in the garden and enjoy their evening meal knowing children are safe and sound. 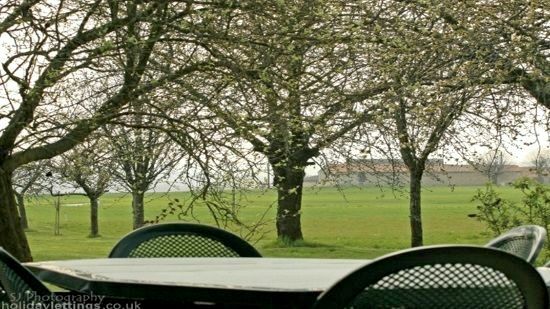 Lots of space to let off steam outside on the large 2-acre field and garden. There is a goal post, footballs, cricket bats, tennis & badminton racquets, boules, picksticks, quoits, childrens' croquet, swings, slide, small sand pit, paddling pool which can also be used as a ball pool, a small tent and numerous other items. Inside there are English terrestrial channels on the TV , board games and puzzles, DVDs and books plus WiFi for older childrens' computer games. Sleeps 6 + infant in 1 x kingsize and 2 x super king bedrooms that can be converted to twins. The nearest airports are Poitiers (30 mins) and Tours (75 mins). La Rochelle airport is 2 hour's drive. The nearest airports are Poitiers (30 mins) and Tours (75 mins). 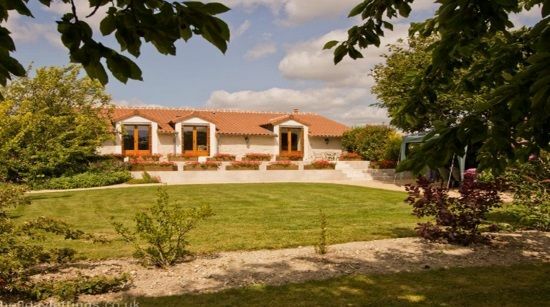 La Rochelle airport is 2 hour's drive and Paris Charles de Gaulle is 3 hours. This baby-friendly gite offers nursery gear including: 1 x wooden cot, 1 x highchair, 1 x baby bath, 1 x baby monitor, 1 x steriliser, 1 x potty, socket covers, window locks, Velux black-out blinds, plastic crockery and cutlery, sippy cups, 1 x stroller and fire guard. This family-friendly gite offers indoor amusement in the form of childrens books, general toys, and u-rated childrens D.V.D.s. The owner can provide home made ready meals on request to 'Heat and Eat' during guests stay to take the strain off self catering. Outdoor play gear provided at this child-friendly cottage includes: buckets & spades, swing and slide set, sand pit, paddling pool, bats & balls, football post & footballs, boules, full size pick-a-sticks and childrens croquet set. Plenty of green space to run around. La Grange is a lovely property, and is well-located for visiting a range of chateaux in the Loire. The house is well set up for small children - being all on one level is handy, and there's plenty of toys (inside and outside), including swings, sandpit and paddling pool. But what really made La Grange stand out were its owners, Mike and Glynis. They were extremely friendly and helpful at every turn, and my 5-year-old delighted in his daily chats with them. 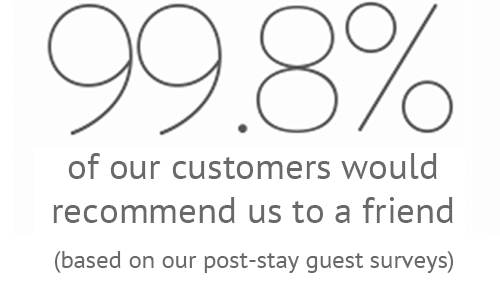 We highly recommend the gite. What a fabulous holiday home. It is so well equipped and much larger than it shows in the pictures. It is perfect for under 5s with all the home from home things you need and also a fabulous little playground of swings, slide and sandpit in the expansive garden. 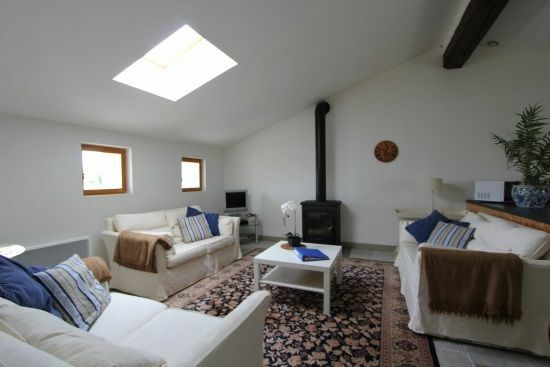 The owners are on hand for any questions or help, but also very much leave you to enjoy the gite and explore as a family. The welcome products were extremely thoughtful and perfect after a 4 hour trip from the ferry. It's a fun area to explore and we all had a brilliant time. 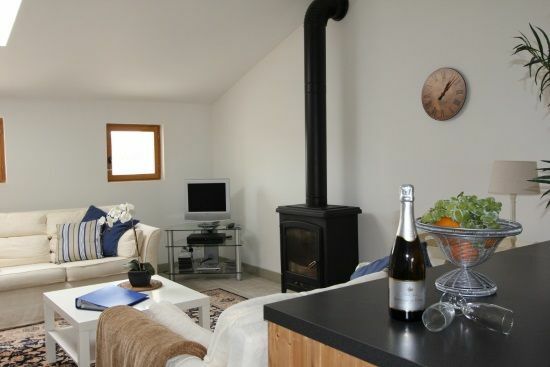 Excellent holiday, great accommodation and very friendly welcome. Definitely recommend! Absolutely stunning gite in a gorgeous location with wonderful hosts who looked after us like royalty. The property is so well equipped for babies, children and adults alike - nothing was lacking. Would highly recommend - you will have a holiday to remember at La Grange. Our party of 4 adults and two boys had a terrific stay at La Grange. We received a warm welcome from Glynnis & Mike, and the gite is immaculate. La Grange is a very calm and peaceful place to stay, yet not too far from the charming town of Richelieu, we enjoyed visited surrounding villages and towns, and some cycling on tranquil routes. We would be delighted to stay another time. We really feel our hosts are happy to go the extra mile to make sure we had a lovely stay. Mike and Glynis were amazing during our holiday The gite was beautiful and the garden big for our young children to run around. We will definitely be back! The property is immaculately presented and all on one floor which is great as we had a five year old and a two year old in our party. At no point did we think that our children were going to come to harm. There is a large garden including two swings and a sand box as well as cherry trees that were full of blossom. The garden is effectively enclosed and allowed our two children to race around before and after we went on day trips. However, in no sense does it feellike a playground as the garden is well tended and the swings tucked away. 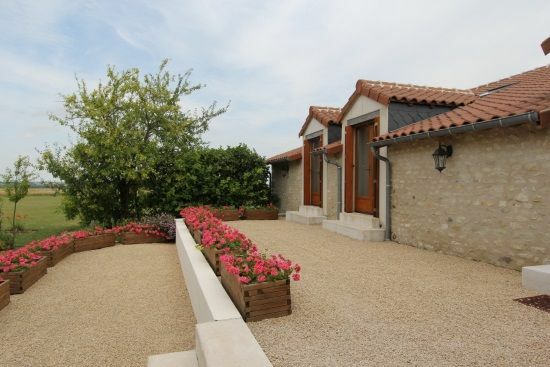 A perfect gite for a young family with lots of run around space outside.